Patricia Ann Hartzell, 67, of Martins Creek, formerly of the Shull Building, Easton, passed away Tuesday February 21, 2006 in Easton Hospital. On July 26, 1938 in Easton, she was the daughter of the late Edward J. and Lillian Mary Milford Hartzell Jemola. 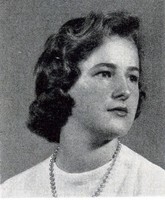 She graduated from Easton High School in 1956 and the Easton Hospital School of Nursing in 1959. She also graduated from the University of Arizona as a family nurse practitioner in 1979. Patricia retired as assistant director of nursing at the former Leader Nursing and Rehabilitation Center, Palmer Township. Prior to that, she was patient care coordinator at Down East Community Hospital, Machias, Maine. She was also employed by the Down East Correctional Facility and Down East Family Planning Clinic. From 1979 to 1985, she was a family nurse practitioner, supervisor, and then acting assistant director for the Navajo Nation Family Planning Corporation, Chinle, AZ. Prior to that, she worked in various nursing capacities in hospitals in California, Syracuse, NY and Easton. She was also a staff nurse in the 33rd Field Hospital, Wurzburg, Germany. She enjoyed music. Patricia was an active member of the Westminster Presbyterian Church, Phillipsburg, NJ, where she was a deacon, leader of the prayer group, choir and bell choir member and knitted prayer shawls. Will be Saturday at 10:30 a.m. in the church, 137 Chambers Street, Phillipsburg, NJ. Call on Friday from 6 to 8 p.m. in the Strunk Funeral Home, Inc., 602 W. Berwick Street, Easton. Burial will be in Hay’s Cemetery. n lieu of flowers memorials may be made to the church 137 Chambers Street, Phillipsburg, NJ 08865.